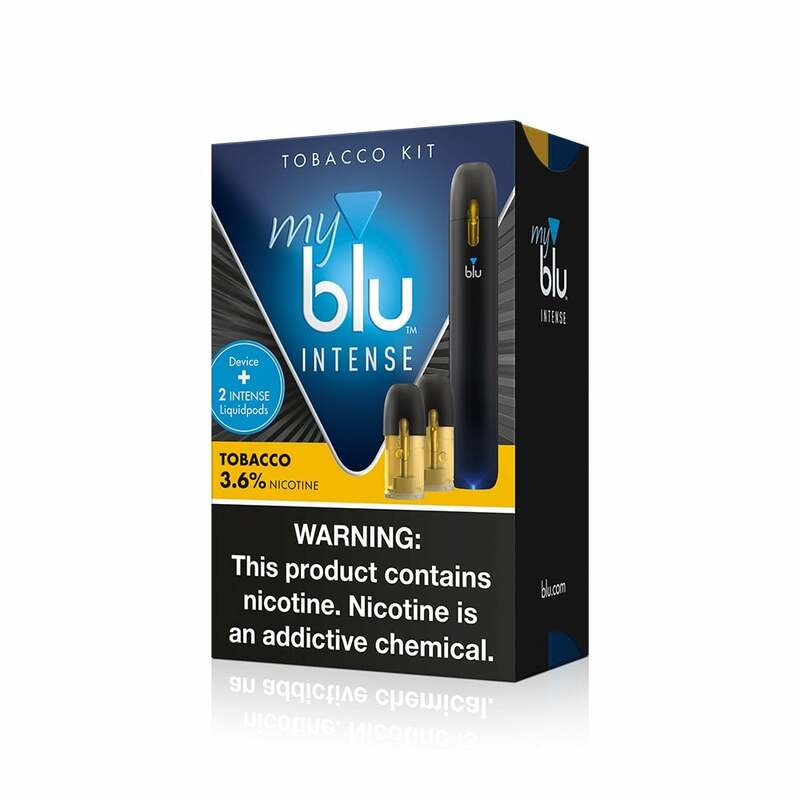 Everybody's favorite myblu's device now comes with two 36mg (3.6% nicotine) Intense Tobacco pods to get you started as soon as you open the box. This kit comes with two refreshing Intense Tobacco myblu pods to vape with it. Intense Tobacco pods are made with 1.5ml of nic salts for smooth MTL hits.